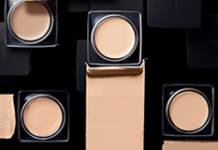 I work in an office so I hate having to do retouching with my cosmetics. I introduced to you the long lasting lip product last time! 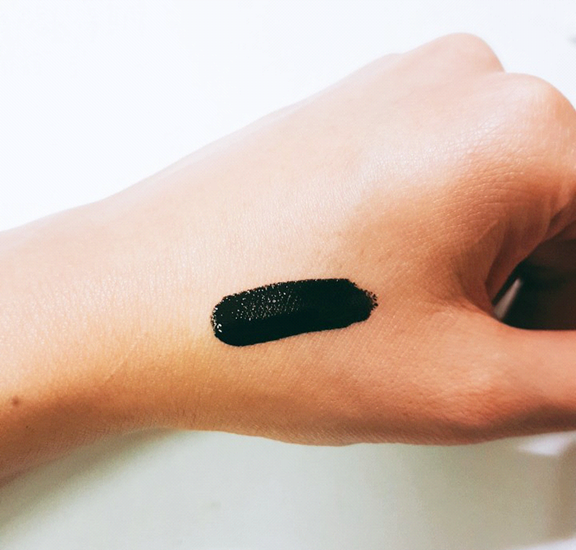 This time, I browsed through the eyebrow products to find one that would give me impressive eyebrows. 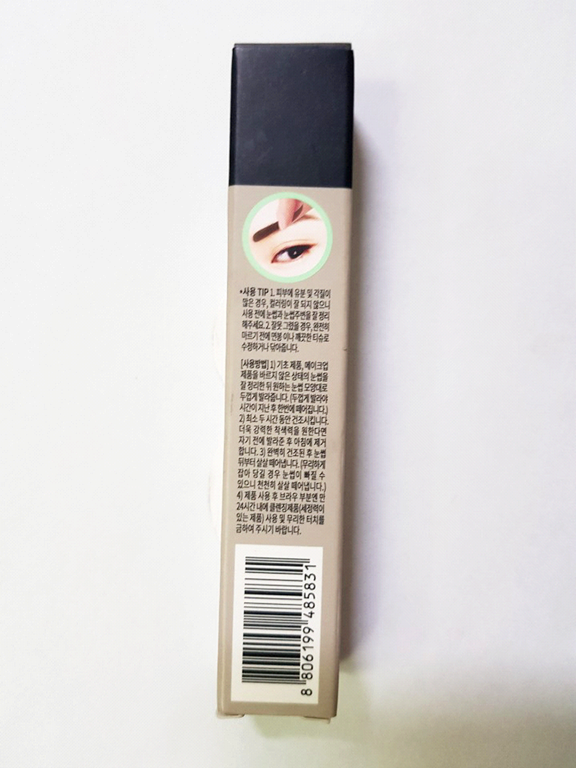 Pure Falsehood Brows Gel Tint!! It is retail price $8.50 but i discount price sell $5.95 by OpentheBeauty. The case has cute eyebrow shapes on it. I heard that the case color and eyebrow color differ based on the color of the product. There are 5 colors: 01 brown, 02 light brown, 03 grey brown, 04 orange brown, 05 red brown. Among these, I selected 03 grey brown. I will read the method of use first, and then open the product. The method of use and tips are written on the back of the case. I will test the product just as it is written here. Now, I will open the case to test the product. It is designed like a tint. It has a grey brown color because I selected the 03 grey brown product. The container itself also has a different color depending on the selected color of the product. It’s easy to see which color you select. Now, I will open the lid! Oh, it’s in the form of a brush. 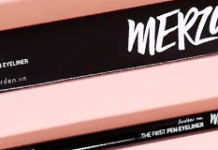 It looks much more like a manicure brush than an eyebrow product. 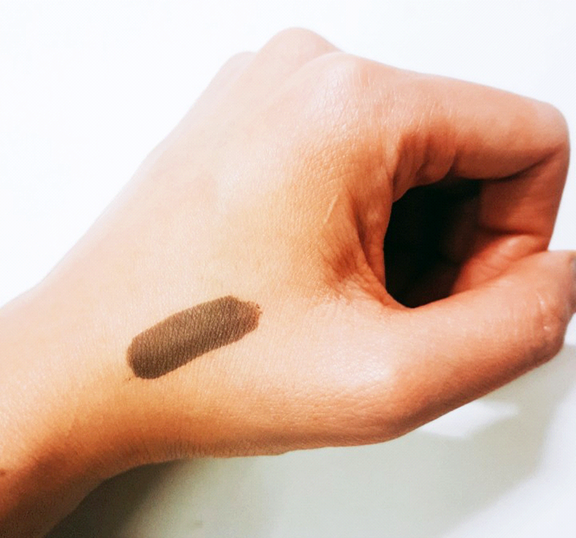 I’m a little scared to apply the product straight on my eyebrows, so I will test it on my hand first. It really looks like a manicure. It feels like I should apply it on my nails. The description said to leave it to dry for at least 2 hours. But because it is applied on my hand, I will only leave it to dry for 1 hour. 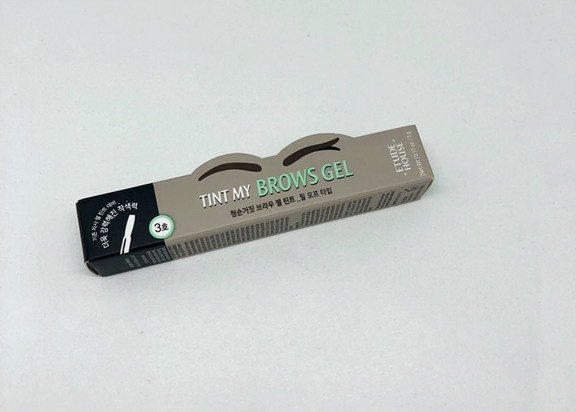 Etude House Tint My Brows Gel #03 Grey Brown 1hour after texture. I tore the dried film off after 1 hour. It has left a color! I only dried it for 1 hour. It still looked wet so I wasn’t sure whether the product had dried or not. But it was completely dry, and it tore off just like a rubber mask. Now, I will apply the product on my eyebrows. 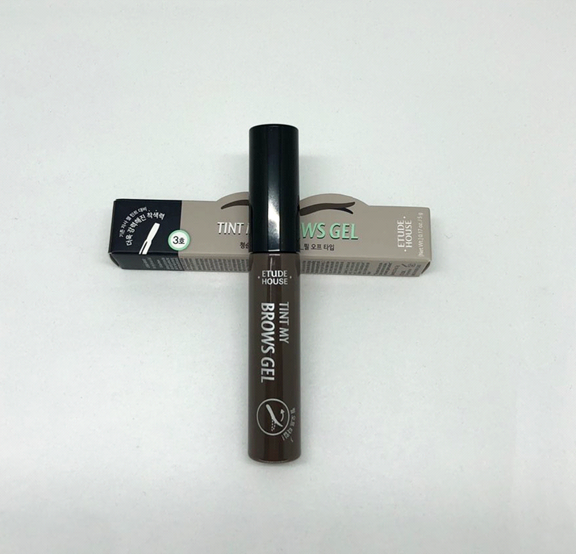 Now, I will fill my poor eyebrow with the Pure Falsehood Brows Gel Tint! I applied quite a lot just as I would when dyeing my hair. It went on very smoothly.You can imagine it feels just like applying manicure.Now I will leave it like this for 2 hours. I tore it all off!! Wow it has been completely filled~!!!! You can’t see very clearly, right? 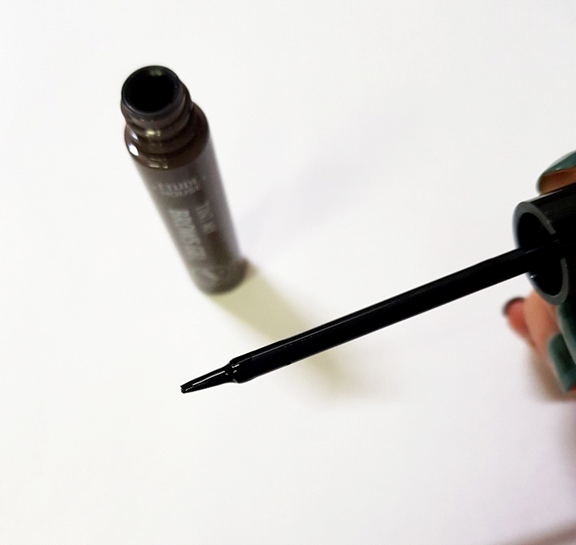 I applied the product as if drawing my eyebrows. The most important thing will be how long it lasts. I will wash my face,sleep, and go to work tomorrow!!! And then take another photo of the product! I cleansed my face, went to work, and returned home to take this picture. But it still leaves an overall color, so I don’t feel like Mona Lisa!! The description said to leave it for at least 2 hours, so I left it for 2 hours. But next time, I intend to sleep while wearing it!! Then it will last longer, right? But now I can go outside confidently without make-up or a hat! How did you enjoy this post? I want to recommend this product for those going to a water park or people who work in an office. © Copyright © 2018 OpentheBeauty. All Rights Reserved.